Jewish Museum Milwaukee preserves and presents the history of the Jewish people in southeastern Wisconsin in a way that emphasizes the American values of tolerance, respect, freedom and celebration of diversity. The Museum offers interactive displays, a focused education program, notable special exhibits and a collection of artifacts that includes a one-of-a-kind tapestry by artist Marc Chagall. Our community’s Holocaust Memorial is located in front of the building. Jewish Museum Milwaukee is offering the nation’s active duty military personnel including National Guard and Reserve and their families FREE admission. For information on other Blue Star Museums in Wisconsin, click here. In this presentation, Elliot Ratzman, Fellow in Jewish Studies at Lawrence University, examines how Jews and Blacks on the left helped create the culture and politics of the twentieth century. Ratzman explores how the far left became an important catalyst for intellectual, artistic, and political innovation, setting the stage for the Civil Rights Movement of the 1950s and 60s. Jeff Smith, Professor in the Department of Communication Arts at the University of Wisconsin-Madison and the director of the Wisconsin Center for Film and Theater Research, will discuss director Elia Kazan‘s status as Hollywood’s most notorious “friendly witness.” Elia Kazan, Oscar-winning director of blockbuster films like “A Streetcar Named Desire,” testified before HUAC in 1952 and named several actors suspected of being Communists. Join Jeff Smith, Professor in the Department of Communication Arts at the University of Wisconsin-Madison and the director of the Wisconsin Center for Film and Theater Research, to learn more about the significance of Kazan’s testimony. 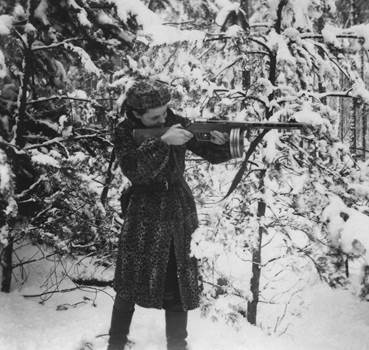 Pictures of Resistance: The Wartime Photographs of Jewish Partisan Faye Schulman The lives of partisans depended on their ability to remain unseen, undocumented and unidentifiable. But one fighter, Faye Schulman, had a camera. Over the past two centuries, women have led different kinds of resistance movements, with differing political ends, from advocating for the abolition of slavery, to advocating for the right to vote; from advocating for prohibition, to advocating for collective bargaining and safe working conditions, and many, many other areas within our political, social, and cultural lives.